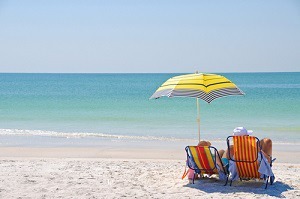 Where are the best Florida beach rentals? Panama City Beach, Fort Walton, Destin, and Miramar! Oceanfront homes for rent, Beachfront condos, waterfront apartments. A private house on the beach with a pool - better than a hotel. Discover family fun travel, things to do, specials, discounts and deals. Lowest prices! Book without service fees. Learn more here! Where are the best Florida beach rentals? Panama City Beach, Fort Walton, Destin, and Miramar! Oceanfront homes for rent, Beachfront condos, waterfront apartments. A private house on the beach with a pool - better than a hotel. Discover family fun travel, things to do, specials, discounts and deals. Lowest prices! Book without service fees. Experience the warm beaches that millions have already come to know each year. Florida is one of the most popular states for a beach rental vacation because of its large size and abundance of exciting destinations and activities. It can be difficult to pick a house for your Florida beach rental vacation, and hard to choose between a vacation on the Emerald Coast or on the Gold Coast of Florida, so we at BeachHouse.com have compiled a list of regions and destinations for you and your family to enjoy. Florida is a big state, with one of the largest coastlines in the United States. To make decision-making easier for busy vacationers, the state is divided up into several coasts, or regions, which you can explore! The Florida Keys are a chain of tropical islands south of Florida, which are extremely popular beach vacation destinations because of their scenic beauty, welcoming climate, and convenience for a Caribbean vacation. Click here to learn more about a Florida Keys rental vacation. 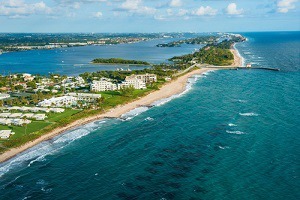 The Florida Gold Coast stretches along South Florida from Miami to Jupiter. This 100-mile stretch of Florida coast has some of the most popular beaches in the United States, and is a great destination for a fun-filled beach vacation. If you love fine dining, perfect weather, and world-class beaches, the chic, metropolitan destinations of the Gold Coast may be for you! The Florida Surf Coast reaches across the Halifax area of central Florida and contains the cities of Daytona and New Smyrna Beach. With some of the most popular and highest-rated beaches on the Atlantic Coast, these cities are popular destinations for vacationers looking for exciting events and thrilling attractions. Click here to learn more about visiting the Surf Coast. The Florida First Coast is the name given to the first part of Florida ever settled by Europeans. This region, close to Jacksonville in the North, is known for quiet, quaint beach communities with natural beauty and a mild climate. Click here to learn more about the First Coast. Suncoast is the name given to the stretch of Florida coastline that reaches from the very tip of the peninsula up to Tampa Bay on the gulf side. This very popular region features hundreds of incredible destinations, from the Clearwater area to the islands of the Florida Gulf, to the Cape Coral area and Naples, Florida. Each of these stunning destinations would be perfect for a Florida beach rental vacation! The Emerald Coast is the name for the piece of coastline that reaches along the westernmost part of the Florida Panhandle. Named for the quartz-white sand of area beaches and the azure water that sand creates, the Emerald Coast is a beautiful, family-friendly and fun-filled region in Northwest Florida. Visit the Emerald Coast and experience locations like Destin and Fort Walton Beach which are perfect for a beach vacation. The Florida Space Coast is the name given to the region of the Florida Coast that contains Cape Canaveral. Home to the Kennedy Space Center, the Space Coast of Florida is great for science-minded vacationers. This region is also convenient for Disney World and other Orlando attractions, which are a short 90-minute drive away. The Forgotten Coast is a stretch of Florida Coastline virtually untouched by commercial development. Home to destinations like St. George Island, this stretch of the Florida Panhandle is perfect for secluded, quiet vacations without a lot of traffic or other vacationers. Visit the Forgotten Coast and learn about life on Florida's mild side. Book a Miami Beach House! Miami Beach remains to be one of Florida's favorite hot spots, along with being one of the best known beaches in the United States! Visit Fort Lauderdale! Known as the "Venice of America", the town draws thousands each year who flock to this city on the coast to experience spring break in a way that is unique and exciting for all involved! Visit Destin! Destin is another great place locals and visitors alike love to visit with its warm beaches and many family-friendly events that keep everyone entertained year-round! Stay at Miramar Beach! Known for its spectacular view of the Gulf of Mexico, Miramar Beach is surrounded by beautiful sparkling water for which it's named the "Emerald Coast", this is one vacation destination you won't want to miss! Book a New Smyrna Beach house! Learn why this little town has been voted one of "Florida's Best Beaches" time and time again! This is the perfect place to go during Memorial Day weekend when they hold their annual FishStock Competition!